Product prices and availability are accurate as of 2019-04-20 06:22:24 BST and are subject to change. Any price and availability information displayed on http://www.amazon.co.uk/ at the time of purchase will apply to the purchase of this product. 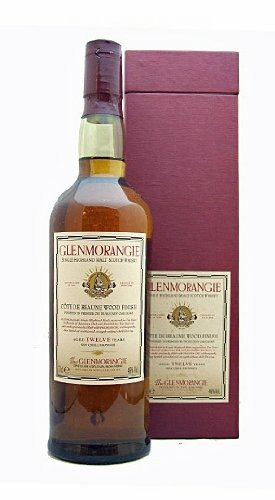 Rare bottling of Glenmorangie Cote de Beaune wood Finish. Matured for 10 years in American oak barrels and finished for 2 years in oak casks previously filled with Premier cru red burgundy.